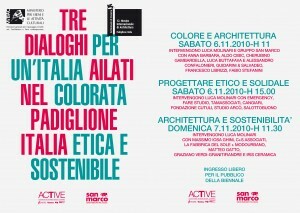 Venice Architecture Biennale – November 6th 2010. 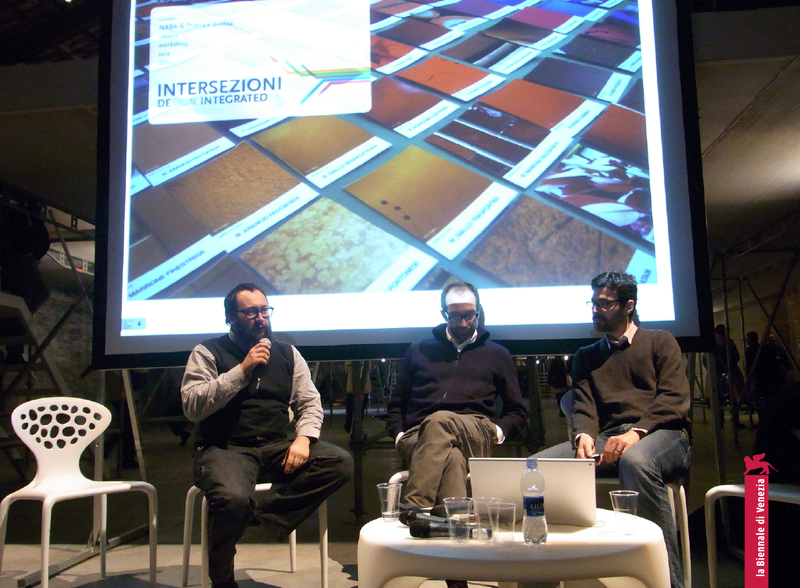 We were invited by the curator of the Italian Pavilion “AILATI”, Luca Molinari, to talk about “Sense the Place”. 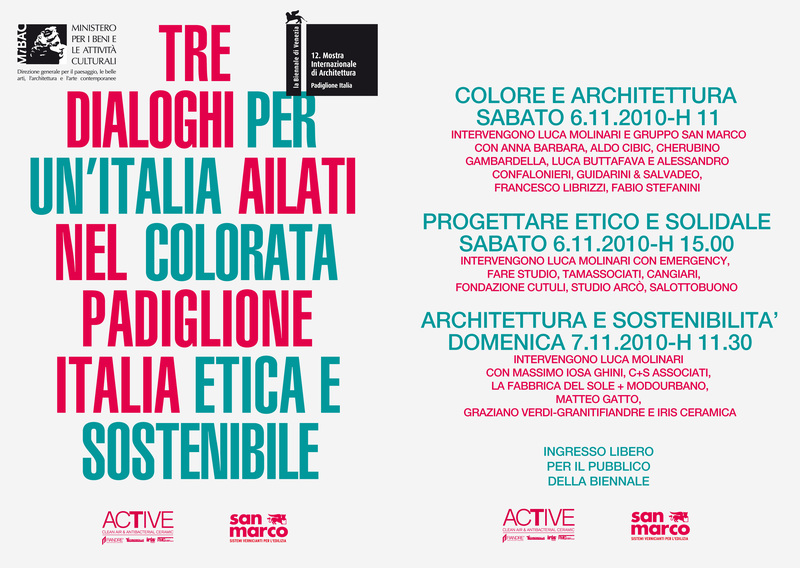 The convention opens a window on contemporary architecture, pointing out possible solutions and future interpretations and highlighting the importance of Color as the “paste” and “content” of the architectural artifact.